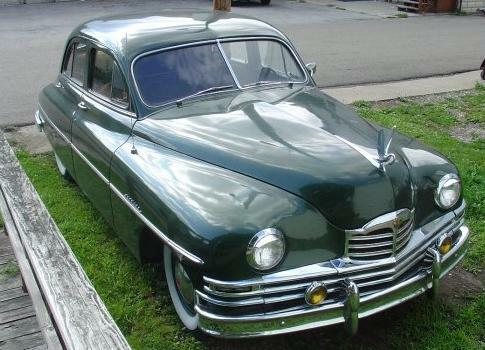 I always loved the Packard cars, this postwar design was quite a leap . Wasn't this model called the Clipper? Never cared very much for the swan on the front of the hood. Packard made such fine, beautiful cars. This model might have been mechanically excellent but I never liked the styling. The dashboard/instrument panel was pleasing to look at.